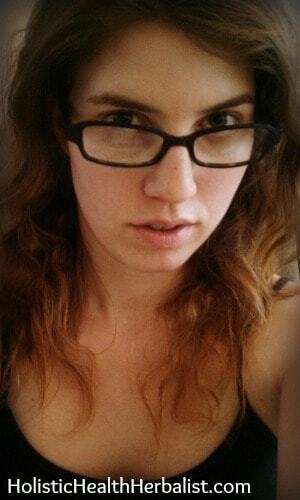 Since my days of frequent hair dying adventures, my hair has been a bit crunchy feeling. Like, really really crunchy, especially at the ends. 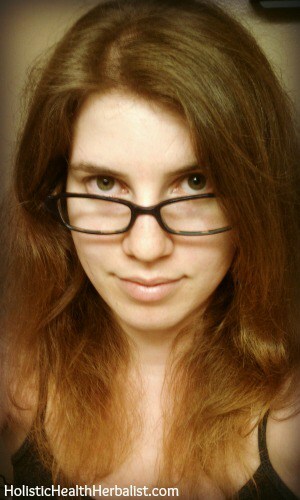 In fact, the last 5 inches of my hair is frizzy, unruly, and dry. Not the best combo when you’re trying to look like you at least care about how it looks. So here’s in attempt to save dry ends everywhere! The secret? A super simple and surprisingly potent remedy for all things beauty…coconut oil! Nourish and Rehydrate Dry Hair with Coconut Oil! There are only a few other natural ingredients that can hold a candle to coconut oil; baking soda, raw local honey, and raw apple cider vinegar. Coconut oil does everything! Use it as a toothpaste, shaving cream, lotion, lip balm…you name it, coconut oil does it all. Coconut oil is the only oil that actually penetrates the hair shaft completely as opposed to just coating it. Nearly all other oils are long-chain triglycerides preventing them from doing much as far as deep moisturizing goes. This unique ability to penetrate hair to the core is what makes coconut oil very moisturizing and conditioning for hair, literally from the inside out. It’s awesome stuff! Using this hair mask will strengthen, moisturize, protect, and add shine to otherwise dull frizzy hair. I’ve been using it on a weekly basis and my hair has been on its best behavior! Sometimes I use just plain ol’ coconut oil and that works really well too. • Let the oil sit for at least 1 hour. I leave mine on all day when I can. Sometimes I will re-apply coconut oil to the ends as the coconut oil gets absorbed. Once you’re done, wash and condition your hair as you normally would. Adding essential oils to your coconut hair treatment will boost its repairing qualities and can even help correct certain hair and scalp issues. Even after just one use, my hair feels waaaaay softer than it did before. My frizz has tamed down quite a bit too. I think I’ll try doing this hair treatment a few times per week to see if I get even better results. Using coconut oil as a weekly hair mask has totally transformed my hair! Paired with some argan oil at the ends after I wash out the mask keeps my hair smooth and frizz-free! I highly recommend it! The photos below depict the firt time I ever tried coconut oil as a hair mask. Have you ever used coconut oil as a hair mask? How did you like it? Nice article, Tash! I’m glad to hear that coconut oil made your hair smooth and frizz-free. Based on my experience, it also works great as a hair growth treatment. Thanks for this post! 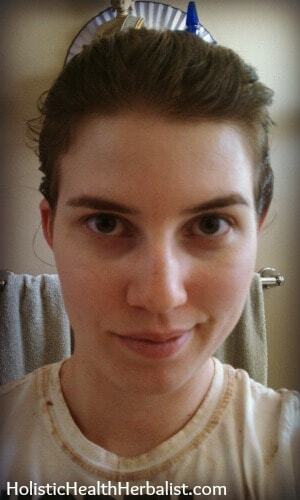 My hair tends to be oily, so now I know what oils to add to the coconut oil mask to help control it. I cannot wait to try this on my hair! I often use coconut oil, not mixed with anything, on my hair as a mask. I have found that if I apply the shampoo before wetting my hair it seems to work better. What is your method for removing the oil treatment? Do you just rinse or do you shampoo it out? Thanks! I usually wash my hair very well afterwards with a natural shampoo, sometimes twice to make sure I’ve got the oil out. When your hair dries, it will feel very soft since the coconut oil has penetrated the hair to the center. It’s really nice =) I condition my hair like usual after washing. Hi Tash! Which is the natural shampoo (and conditioner) that you recommend when washing out hair masks/oil for oily hair type? And what are your thoughts and recommendations on avoiding SLS in shampoos and conditioners?